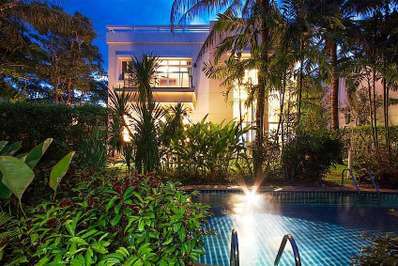 Eats & Retreats features a curated portfolio of Hua Hin City private luxury villas & vacation rentals to rent for individuals, couples, friends, families & large group holidays. We work directly with property owners to guarantee the best price. We also provide a book-now service with a 72 hour free cancellation period. The attractions of a modern holiday destination with the charm and fascination of a still active fishing port: this is Hua Hin. While most holiday destinations in Thailand cater towards international tourists, Hua Hin is a holiday resort for internationals and Thais alike. The beach is 5 miles long, and beside the beach rests the highest density of golf course anywhere in Thailand. He green fees and costs are extremely low and the services and maintenance are excellent. Hua Hin has already been the favourite Thai resort for over 70 years. The construction of a railway line from Bangkok ensured its accessibility and popularity with a wider part of the Thai public following the discovery of the area by the then Thai king and his interest in crating a summer home on the beach. The resort's royal endorsement gives Hua Hin a particular and unusual character. The Railway Hotel, today's Sofitel Central Hua Hin, was built by the State Railways of Thailand in 1923 in the architectural style of old Siam. Today's visitors to Hua Hin enjoy this special atmosphere and old world charm. In addition to the pleasures of the mile-long beach there are leisure activities for the whole family including water sports and golf. Parks and peaks, caves and waterfalls surround the town and await discovery. The winding central roads, home to a variety of shops, are great for a stroll. The restaurants built on stilts into the sea offer fresh seafood. Hua Hin is a very special holiday experience. Live like a king. 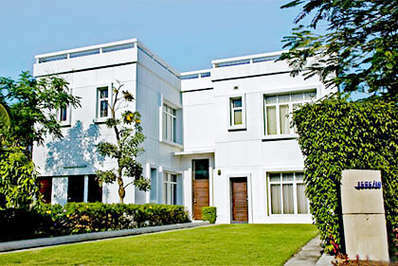 The regal luxury of the resort never fails to rub off, and you'll feel right at home in your own private palace. 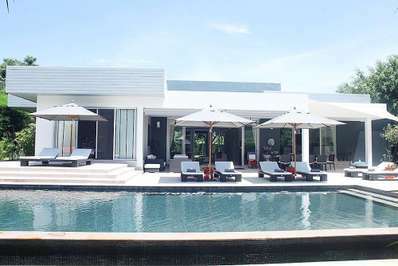 Holiday villas are a fine way to enjoy Hua Hin, and match the luxurious splendor of the area.